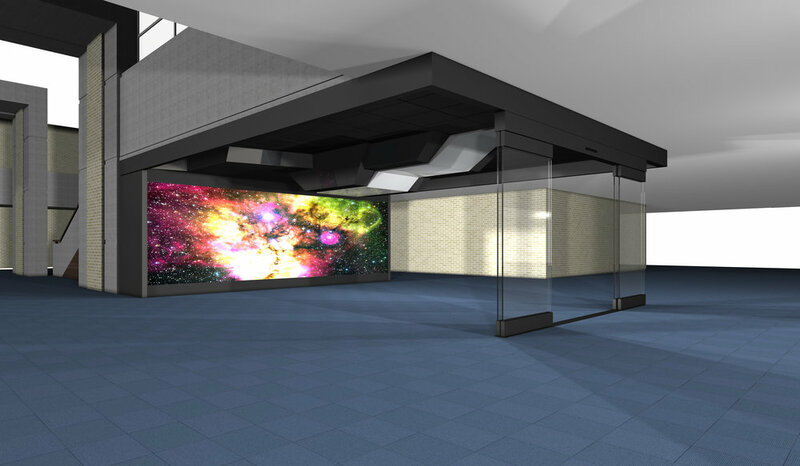 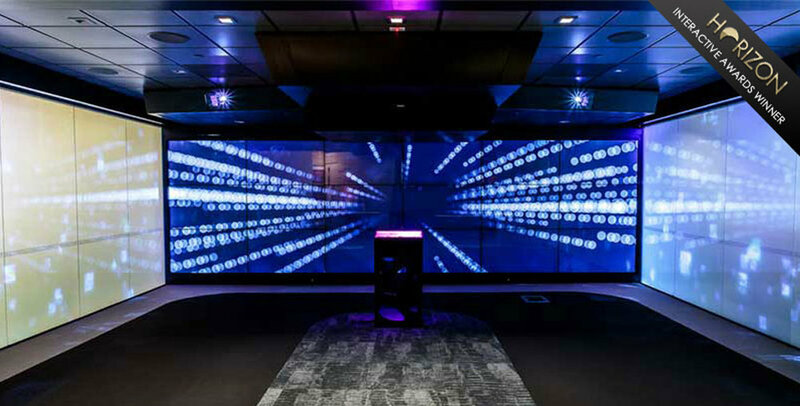 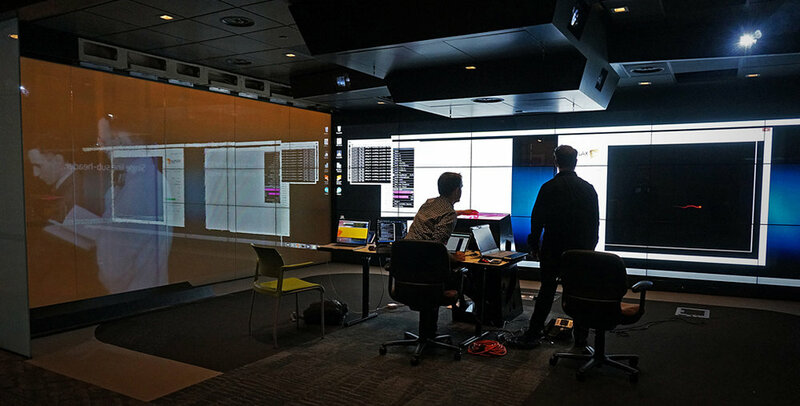 WINNER OF THE PRESTIGOUS HORIZON INTERACTIVE AWARD - MC2 gave us the honor of collaborating and designing this state of the art media center for Bell Labs in New Jersey. 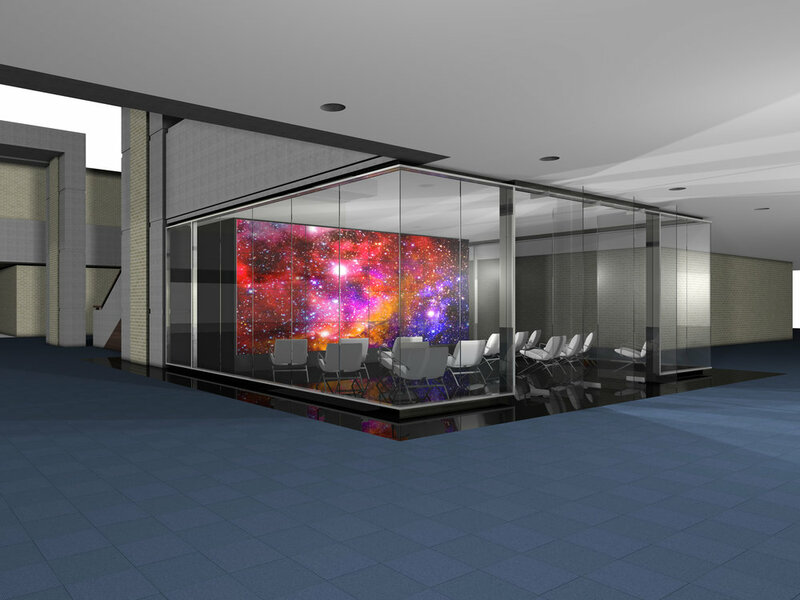 The space we were given was tucked under a stairwell so our goal was to initially satisfy the presentation goals of Bell Labs while crafting a clean aesthetic that worked with the existing architecture. 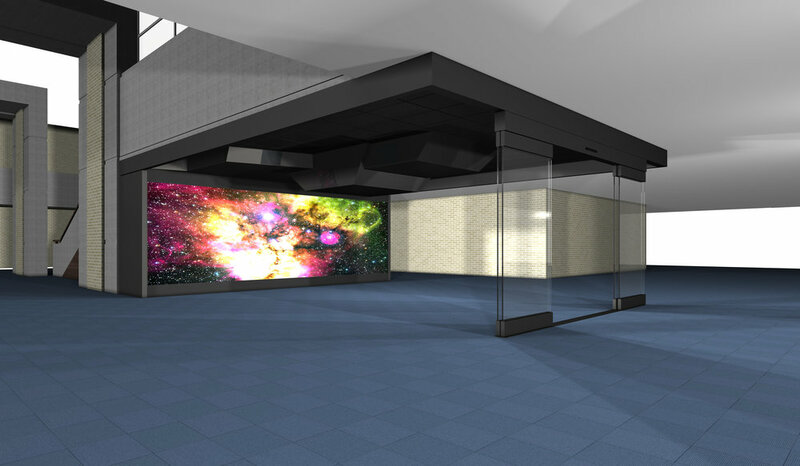 A high res LED wall with touch screen capability along with state of the art ceiling hung projectors was incorporated into the space. 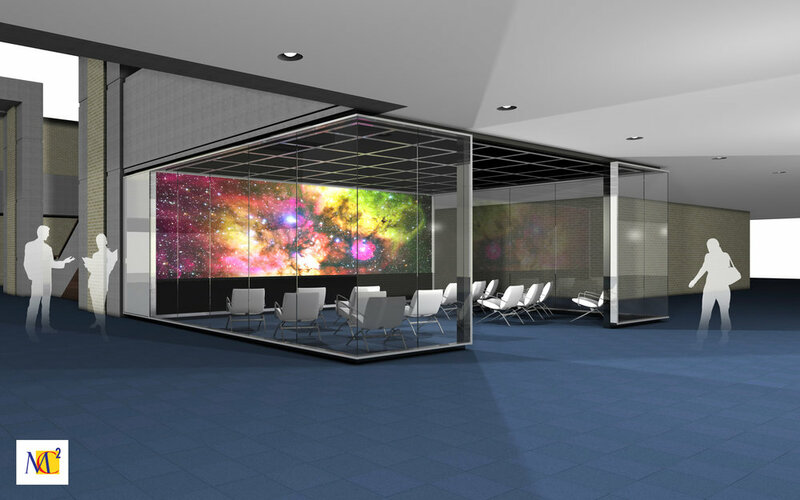 This Media Room is now used by scientists at Bell Labs for meetings, presentations and corporate functions.